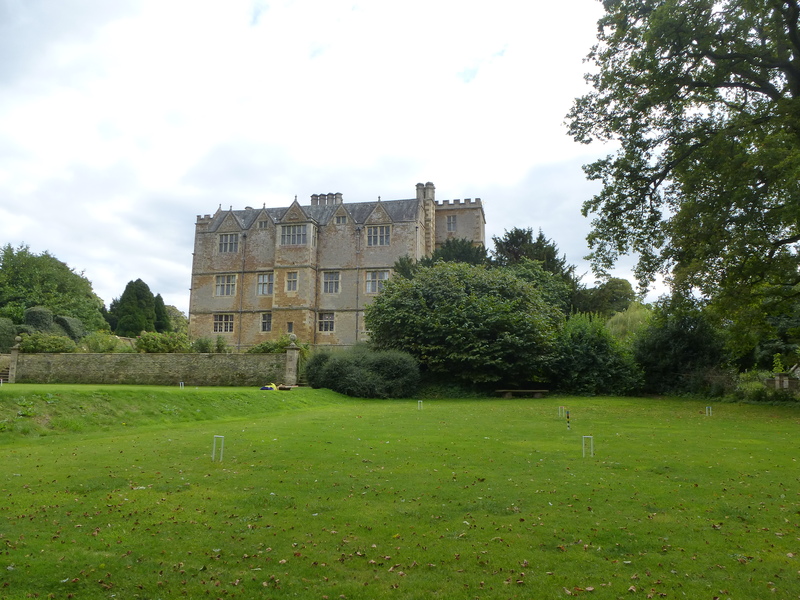 Following my last post on the slightly faded but rather magical Chastleton House, this time I am going to take a closer look at the intriguing gardens that surround it. As the fine Jacobean house fell into decay during the twentieth century, its extensive grounds also became overgrown and wild, nature sneaking back in after centuries of careful planting and landscaping. Since the National Trust took over the property in the 1990s, they have been carefully tidying up the gardens, making them accessible once again, but still retaining their magical atmosphere. The gardens at Chastleton are filled with ancient trees and pretty flowerbeds. A kitchen garden has been re-established, and long-overgrown sections are gradually re-emerging following decades of neglect. Undoubtedly the most striking aspects is the formal topiary garden, a circular area filled with weird and wonderfully shaped bushes. Each bush was once carefully trimmed into a recognisable form, but now they are shadows of their former selves, their original designs hard to decipher. One bush apparently represented a galleon in full sail, another a Greek vase, and yet another a teapot. Time has worn away the edges of the bushes, and now most of them are amorphous lumps giving only the tiniest hints of their past grandeur. 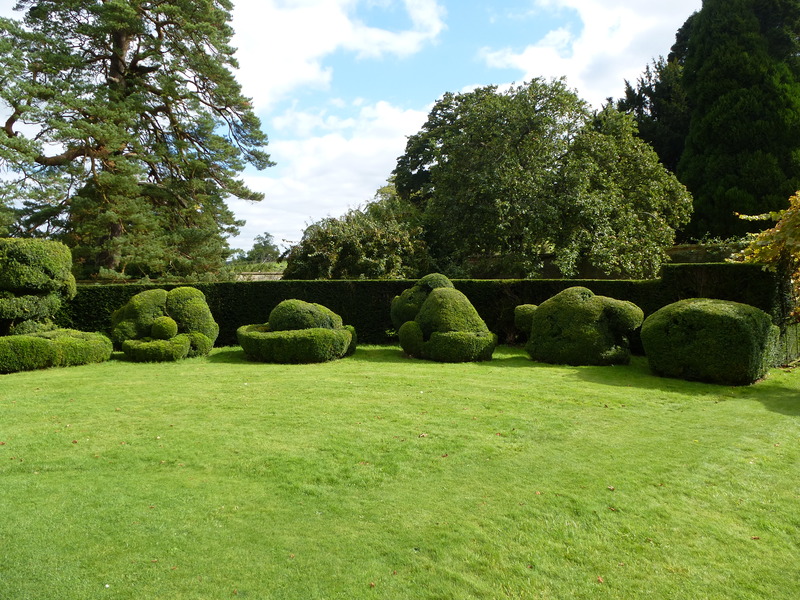 Wandering around the topiary garden at Chastleon House, it is hard not to think of the surreal setting of Alice in Wonderland with all of its crazy characters and dreamlike locations. A plan is available which identifies each and every bush in the garden, although guessing which was which is much more fun. It’s amazing how your mind can imagine just about anything once you get going. Just like the interior of the house, the gardens of Chastleton House were on the verge of rack and ruin when they were rescued just over twenty years ago, but while they have been preserved for future generations, their wonderful sense of faded opulence and intriguing mystery has also been retained. 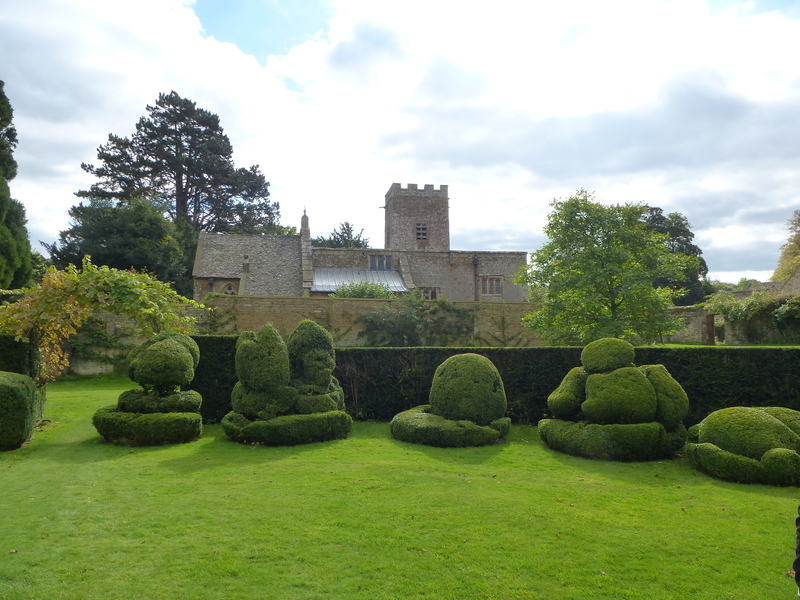 Can you decipher the strange topiary shapes in the garden of Chastleton House? 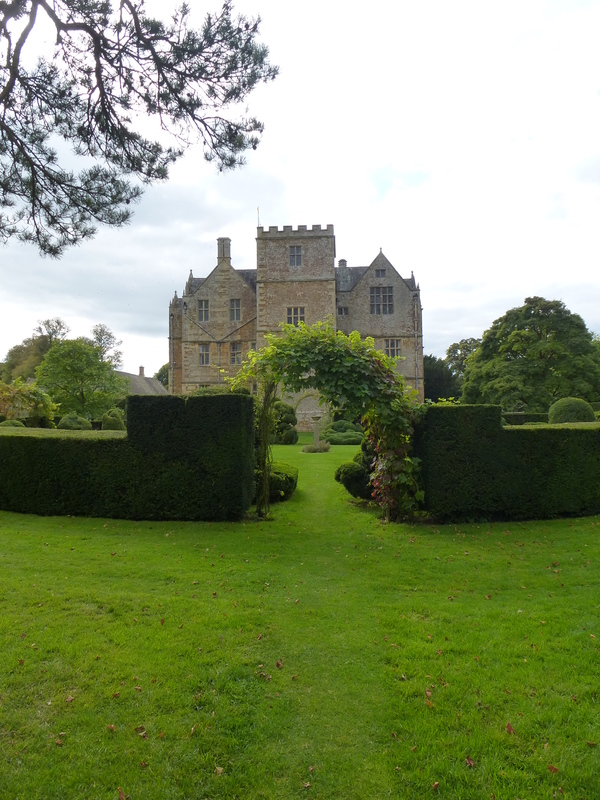 Exploring Chastleton House and gardens is a wonderful experience, and the property offers a great example of how a place can be conserved and maintained without losing its unique magic. Let’s hope this approach is taken elsewhere, and more of that magic, hidden in quiet, dusty rooms and shadowy, overgrown corners, can be retained and enjoyed for years to come. Spitalfields has been one of the most cosmopolitan areas of London for over two centuries. It has suffered ups and downs over the years, the elegant Georgian houses degenerating into Victorian slums, only to be gentrified in recent times; but despite the creeping encroachment of the City which surrounds it, Spitalfields still retains pockets of magic. In 1979 Dennis Severs spotted the potential of a run-down George I terraced house in Folgate Street which still possessed much of its 18th Century charm. He then set about bringing the place back to life, not with the pedantic precision of a conservator, but with the theatrical eye of a born showman. Severs passed away in 1999, but the incredible house that he created still exists, cared for by a band of devotees and friends who keep his unique vision alive. The facade of 18 Folgate Street, with its fretwork window decorations and the gas light above its Regency door case, suggests that there is something different about this house. Once inside, the ‘spell’ begins to unfold, and as you wander from room to room, up the narrow creaky staircase to the bedrooms or down into the cosy warmth of the kitchen or the mildewy cellar next door, you find yourself on a trip back in time. 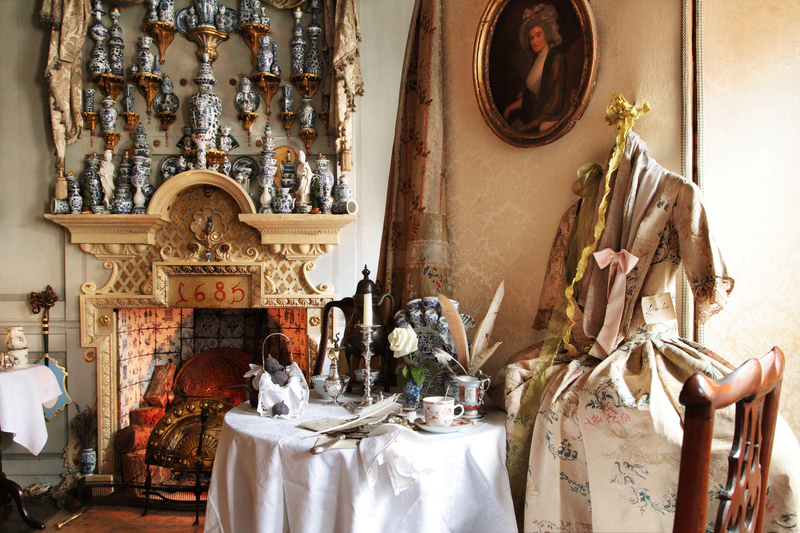 Dennis Severs’ House is a Hogarthian genre scene brought to life. The house is packed with the ephemera of everyday life in Georgian England. The tables are set for dinner, half-drunk glasses of wine next to crumb-laden plates, clothes are laid out on the bed awaiting their owner, a black cat saunters around with little interest in the visitors who creep quietly through its rooms. Severs himself lived in the house, surrounded by all of this stuff, without central heating, electricity or any such modern luxuries. He often acted as guide, although his habit of showing the door to visitors who broke his ‘no talking, no questions’ rule earned him a rather scary reputation. “You either see it or you don’t” was his mantra, and those who didn’t share his magical vision were given short shrift. Nowadays the custodians of the house are not quite so fearsome. “Silent Night” is the best time to go; visitors are requested not to talk, and the rooms are illuminated by flickering candles and amber firelight. At Christmas the house is decorated with extravagant displays of candied fruit and paper chains, the atmosphere sharpened with the rich smell of spices and mulled wine. I’ve introduced a few people to Dennis Severs’ House, and I’ve yet to find anyone who isn’t enchanted by it. This is not ‘heritage’, it’s certainly not a museum, and many of the items in there are not ‘genuine’ or even historically accurate. Instead what you will find is a wonderful piece of theatre, bringing the past to life in a way that is never tacky or kitsch. 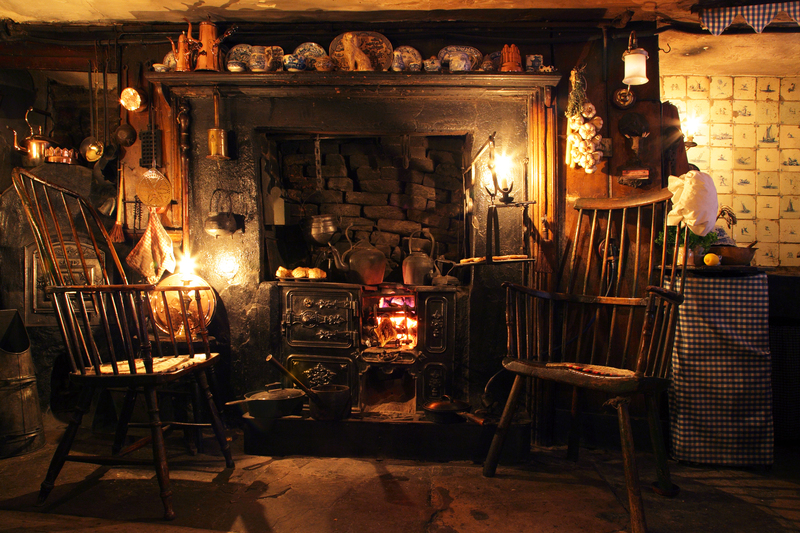 With its candle-lit interiors filled with the fug of port fumes and wood smoke, the whisper and giggle of invisible residents drifting through from the half-shut doors of adjoining rooms, 18 Folegate Street looks, smells, sounds and feels like a Georgian home in a way that most historic houses never do. Severs created his own narrative for the building around the fictional Jervis family, whose faces stare down from gilt-framed portraits. 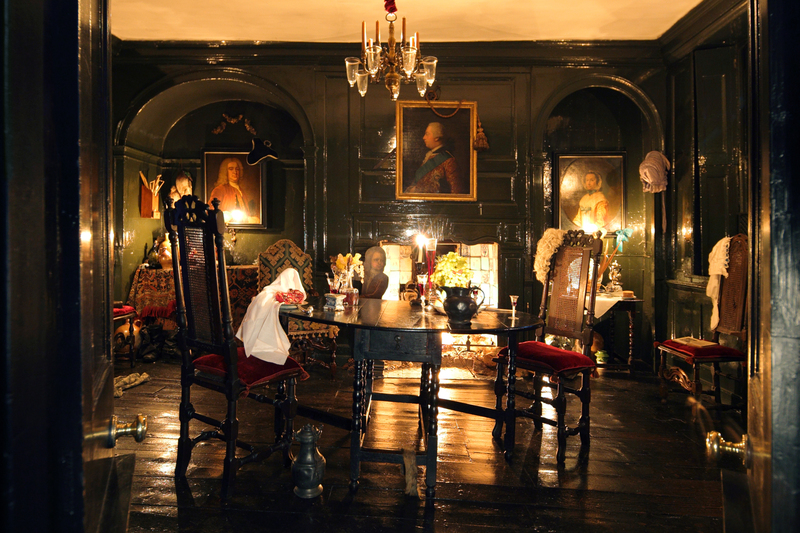 Whether loitering the in opulent drawing room or shivering in the draughty garret, for the half an hour or so you spend in Dennis Severs’ House, you’ll almost believe you too are part of its magical story.